In Acts there are three testimonies of Paul’s conversion on his way to Damascus. The criticism is that there are contradictions in them.... What now? Interesting enough not only critics, also theologians are really in trouble about the information of Jesus’ resurrection in the Gospels. The disturbing aspect is not only the miracle part of the occurrence, but also that a real story, a real narrative, is lacking in any of the Gospels. 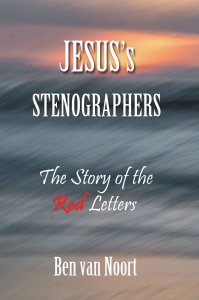 During the process of writing and editing the book “Jesus’ Stenographers” the editor regularly gave expression to what he saw as a privilege on working on this project. He has given permission to share with you his experiences.